Today’s episode is geared towards anyone who is completely new to Pinterest or those of you who want to rebrand your personal profile into a business profile. We’re going back to the beginning and starting with the basics of how to create a Pinterest business account. When you’re done listening to this episode, can you do me a favor? Share this episode with someone who is new to Pinterest marketing! It would mean so much to me and I know it would be helpful for the person you share it with. Let’s walk through these steps from the very beginning. Sign up with Pinterest using your name and email. I would recommend using your business email address. Pinterest will ask you to pick a username for your profile, which will also be your URL. Choose something as close to your business name as possible while fitting into the 14 character limit. For example, I use pinterest.com/simplepinmedia. That fits, but if it didn’t, I might have chosen pinterest.com/spm. (If you’re transitioning from a personal account to a business account, this section is for you!) Right away, convert to a business account by going to business.pinterest.com. Click “log in” and use the same login information you created when you signed up. The screen will prompt you through a series of settings which will help you connect your website to your Pinterest account. You want a business account for 2 reasons – 1). because Pinterest said so and 2). because it enables you to have access to Pinterest analytics! Head back to profile settings and complete the account set up by selecting a business name. I chose the name of my business, and included a few keywords behind it. When you’re choosing your profile picture, make sure you choose a picture that you use on other social media outlets. You want your image to facilitate brand recognition. If you’re known by your logo, you can use that instead of a photo. Think about Starbucks. You can immediately recognize them by their logo! If you’re the face of your brand, use your own photo. Next, complete the ‘about you’ section. Your “about me” should describe who you are, what you’ll be sharing, and possibly a freebie link that will help you grow your email list. You don’t have to put your name in this section if you already have it as your business name. And you don’t need to put your URL in this section because Pinterest does that for you automatically! the option to deactivate your account. You’ll be given the option to connect to your social network profiles (Facebook, Google+, or Gmail). I have that feature turned off. Next, you’re going to want to claim your website. Claiming your website allows you to get attribution in analytics for your content. Enter in your URL and hit “Claim”. There are two ways to claim your site: with a meta tag or by uploading an HTML file. You can find detailed instructions on both methods on Pinterest’s Help Center for Businesses. Once you do all those things, (whew!) click save and you’ll be up and running! Now that your profile is completely optimized for your business, it’s time to create boards that match your brand. This is an area where a lot of people get stuck because they are afraid of getting it wrong. In the last seven years of working in Pinterest marketing, I’ve learned that there isn’t a lot that you can mess up and not fix later. You can only really get it wrong if you never try and never target your avatar. First, know that there’s no perfect number of boards you need to create. If you’re converting your personal profile to a business profile, you’ll want to convert any boards that don’t fit your brand into secret boards. You’ll still have access to the board but they won’t be public for your audience to see. I started my Pinterest account by creating 8 new boards, using very strategic keywords. You can sit down and do everything while you’re in Pinterest setting up your profile or maybe use a pen and paper to narrow down all your ideas. I wrote 1-2 sentences descriptions for each board. I didn’t use hashtags, because those are pulled from pin descriptions and funneled into the chronological hashtag feed. We have an entire podcast episode all about hashtags that you can check out a little later. After creating those 8 boards, I added at least 5 pins to each board. There’s no magic number of pins that you need in each board before you get started. You don’t need to keep them secret until you have 45 pins in each board. You just want your account to have pins on it. Doing all of this only took me 2 hours! These questions came from my Facebook group. If you haven’t joined yet, do it. It’s a safe place for you to ask all of your questions, no matter how silly they seem to you. Here’s what I think – if you can convert from personal to business seamlessly, then do it. If you have a ton of boards and you still plan to use that account personally, then start a new account. And if, like Ariana, you want a better username, then start fresh! That will also help Pinterest to know what your brand is right off the bat. Help me understand group boards! Do I need them right away? Group boards are a way for you to collaborate with other pinners in your niche. They can help to get your content in front of other people as long as you’re choosing the right ones. 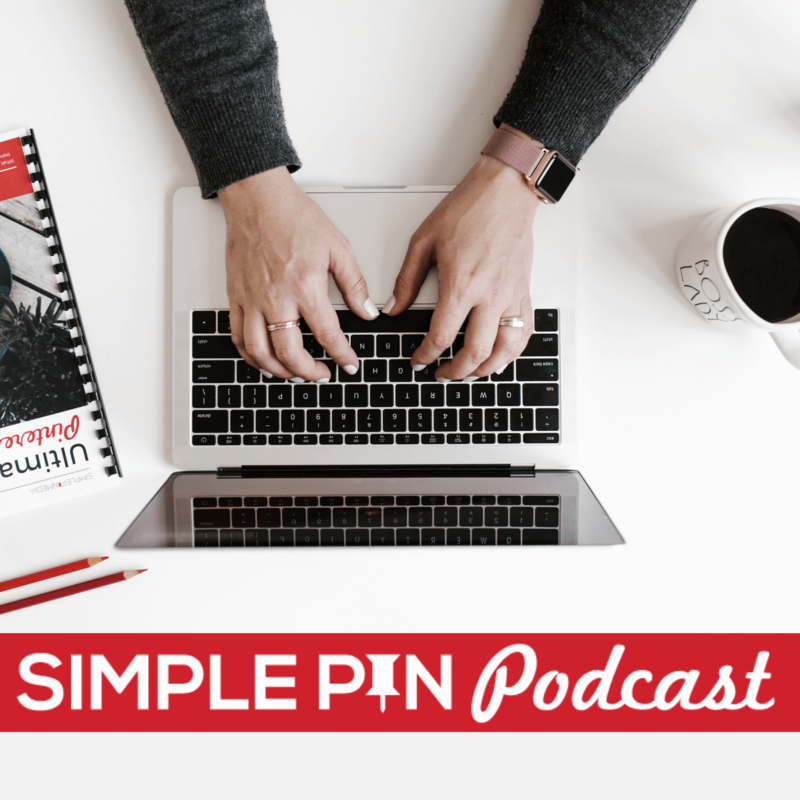 We have an entire podcast episode that you can go listen to that will fill you in on everything you need to know about Pinterest group boards. Do you need additional topics to target a larger audience, even if you aren’t providing a specific service? (For example, Rae teaches Dubsado CRM and systems, but she isn’t a photographer or designer). Think about what kind of blog content you’re going to be creating. Don’t create any boards where you can’t put that blog content. Use some extra creativity to help you target that larger audience while still sticking to your niche. Very useful post. This post will be very helpful for those who are having difficulty in creating a Pinterst business account. The step by step process provided by you to create a Pinterest business account is awesome which is easy to understand. Pinterest can be the best place to promote your services and products online if utilized in a better way. Hi Kate! THANK YOU THANK YOU THANK YOU! Over the last 2 weeks, I’ve added my 10 first posts to Pinterest and couldn’t have done it without starting here first! And, I’ve listened to your Podcasts, AND am part of the Facebook group, AND taking the Pin course you endorse. If anyone needs a step by step plan, Simple Pin Media lays it out for you!